The Middle East is in many ways a hotspot and regular feature in newsrooms for a variety of reasons today, but it’s also a booming literary hub with a history of producing wonderful writers tackling everything from love to politics to the minutiae of daily life. Here are six books by Middle Eastern writers set in or around the Middle East that you ought to read. Neda is born in Iran’s Evin Prison, where her mother is allowed to nurse her for a few months before an anonymous guard appears at the cell door one day and simply takes her away. In another part of the city, three-year-old Omid witnesses the arrests of his political activist parents from his perch at their kitchen table, yogurt dripping from his fingertips. 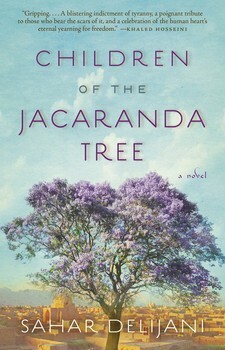 Set in post-revolutionary Iran from 1983 to 2011, this stunning debut novel follows a group of mothers, fathers, children, and lovers, some related by blood, others brought together by the tide of history that washes over their lives. Finally, years later, it is the next generation who is left with the burden of the past and their country’s tenuous future as a new wave of protest and political strife begins. Kafr El Teen is a beautiful, sleepy village on the banks of the Nile. Yet at its heart, it is tyrannical and corrupt. The mayor, along with Sheikh Hamzawi of the mosque and the chief of the village guard, are obsessed by wealth and use and abuse the women of the village, taking them as slaves, marrying them and beating them. Resistance, it seems, is futile. Zakeya, an ordinary villager, works in the fields by the Nile and watches the world, squatting in the dusty entrance to her house, quietly accepting her fate. It is only when her nieces fall prey to the mayor that Zakeya becomes enraged by the injustice of her society and possessed by demons. Where is the loving and peaceful God in whom Zakeya believes? 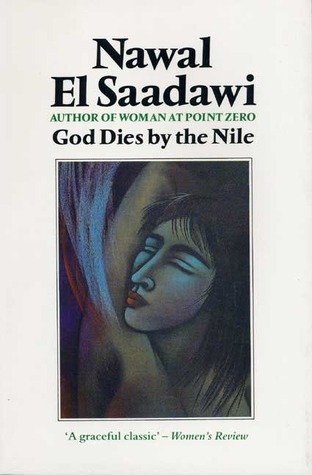 Nawal El Saadawi’s attempt to square religion with a society in which women are respected as equals is relevant and poignant today. The unforgettable, heartbreaking story of the unlikely friendship between a wealthy boy and the son of his father’s servant, The Kite Runner is a beautifully crafted novel set in a country that is in the process of being destroyed. It is a sweeping story of family, love, and friendship told against the devastating backdrop of the history of Afghanistan over the last thirty years, an unusual and powerful novel that has become a beloved, one-of-a-kind classic. Changez is living an immigrant’s dream of America. At the top of his class at Princeton, he is snapped up by an elite valuation firm. He thrives on the energy of New York, and his budding romance with elegant, beautiful Erica promises entry into Manhattan society at the same exalted level once occupied by his own family back in Lahore. But in the wake of September 11, Changez finds his position in his adopted city suddenly overturned and his relationship with Erica shifting. And Changez’s own identity is in seismic shift as well, unearthing allegiances more fundamental than money, power, and maybe even love. At either end of the twentieth century, two women fall in love with men outside their familiar worlds. In 1901, Anna Winterbourne, recently widowed, leaves England for Egypt, an outpost of the Empire roiling with nationalist sentiment. Far from the comfort of the British colony, she finds herself enraptured by the real Egypt and in love with Sharif Pasha al-Baroudi. Nearly a hundred years later, Isabel Parkman, a divorced American journalist and descendant of Anna and Sharif, has fallen in love with Omar al-Ghamrawi, a gifted and difficult Egyptian-American conductor with his own passionate politics. 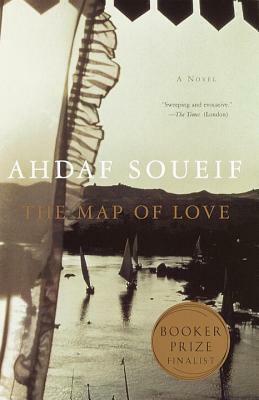 In an attempt to understand her conflicting emotions and to discover the truth behind her heritage, Isabel, too, travels to Egypt and enlists Omar’s sister’s help in unraveling the story of Anna and Sharif’s love.